Hundreds of people gathered in Gorky Park in Moscow to celebrate the pagan Maslenitsa festival, which marks the end winter. 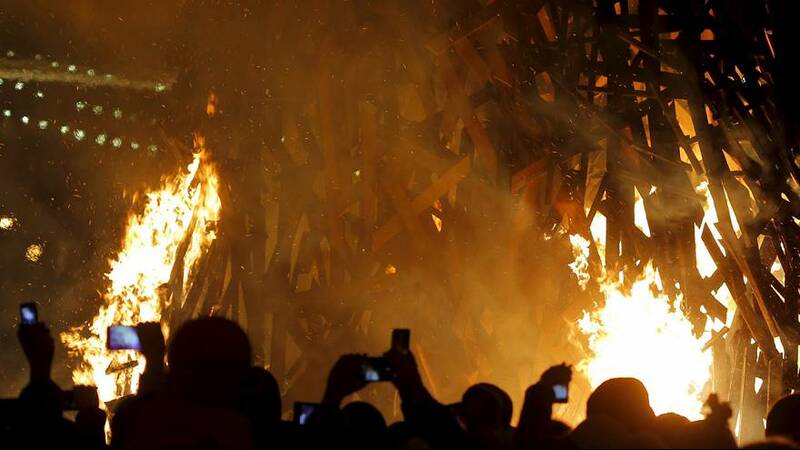 Traditionally scarecrows made ​​of straw are burned on this occasion, but in Moscow organisers of the ceremony decided to set fire to a fake bear lair, which burned down to reveal a fake bear inside. This was intended to symbolize the animal’s awakening, as a bear is commonly used as an emblem to represent Russia.